So here's the thing. You're having an evening 'do' and you want your bridesmaids to look chic and elegant. You want them to look classy, sophisticated and stylish during evening dinner and for the dancing. 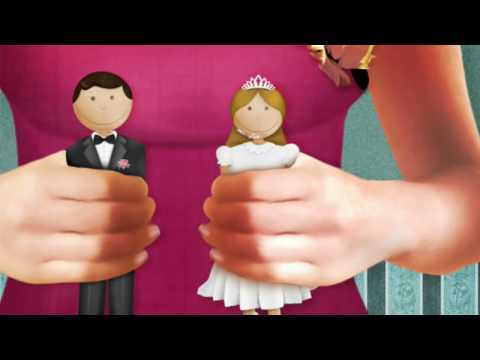 But black bridesmaid dresses? Maybe you're a little superstitious about the color. Maybe you find it a little draining on some skin tones. Maybe ... you just don't want to. Well, there are other colors than black which offer evening elegance and style. If you want to go for the drama of dark shades then are plenty of hues to consider. Midnight blue - the new black. A deep aubergine. Burgundy. The darkest of dark green. Perhaps an eye-catching dark ruby red. 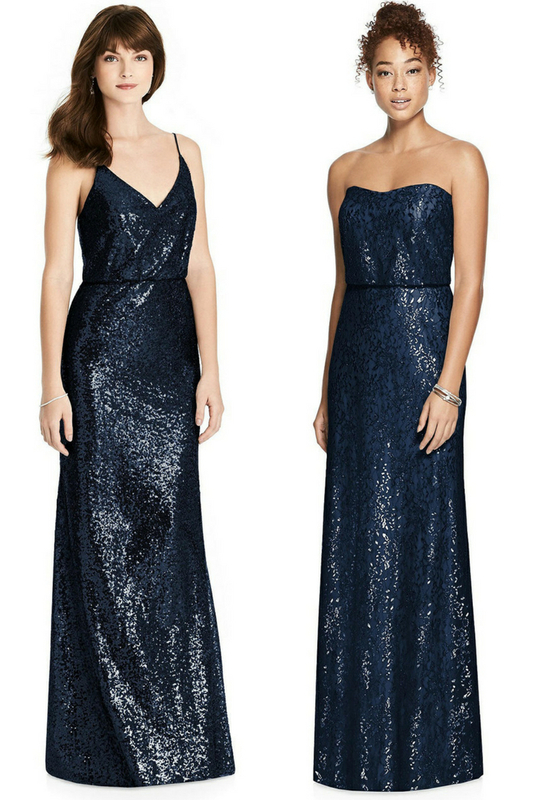 You could also opt for sequins, which would work dazzlingly from day through to night. 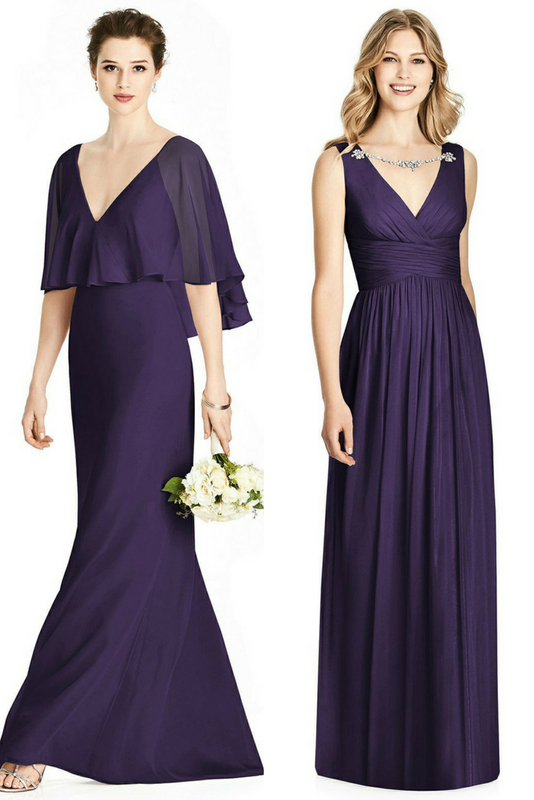 Your maids would just love wearing one of these bridesmaids dresses to channel their inner diva! A dress your maids will want to wear again and again. 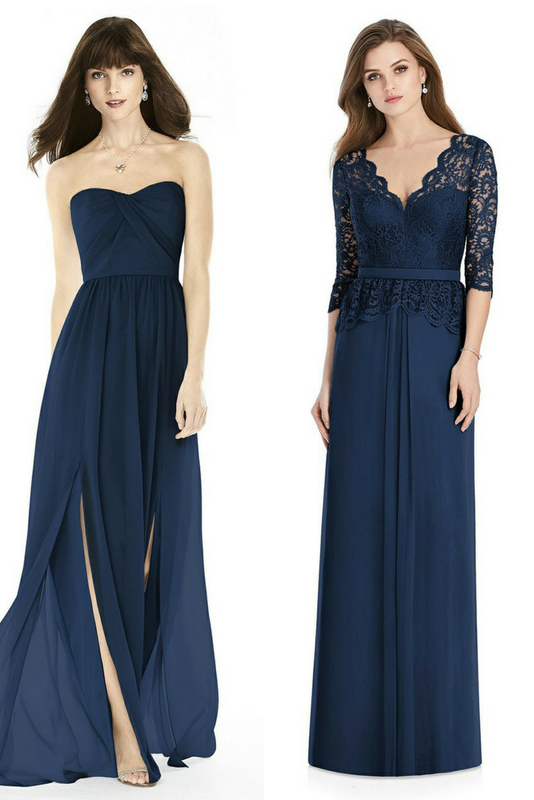 One of the advantages of choosing a long bridesmaid dress in a dark color that's suitable for an evening wedding is that your maids will probably want to wear it again to another smart event because it doesn't scream 'bridesmaid'. Like a school prom if they're teenagers. These dresses aren't going to linger in the closet unworn. They're much too glamorous. 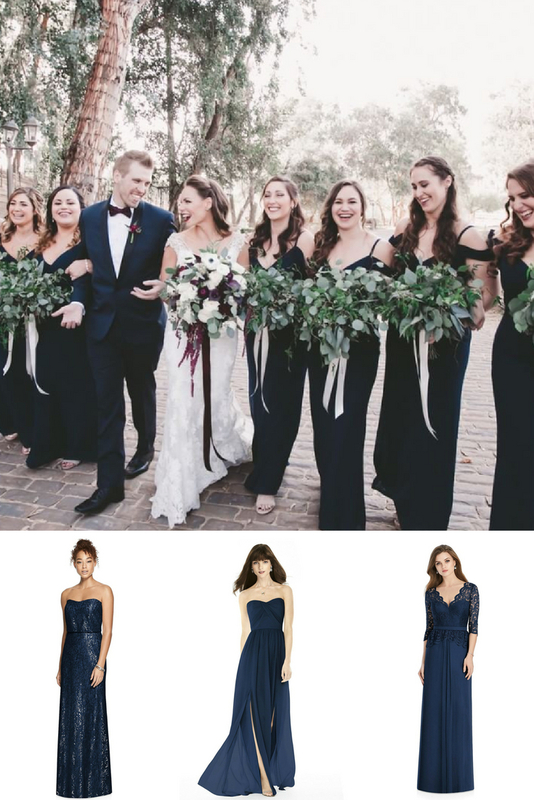 Tips for dressing your bridesmaids in black frocks.